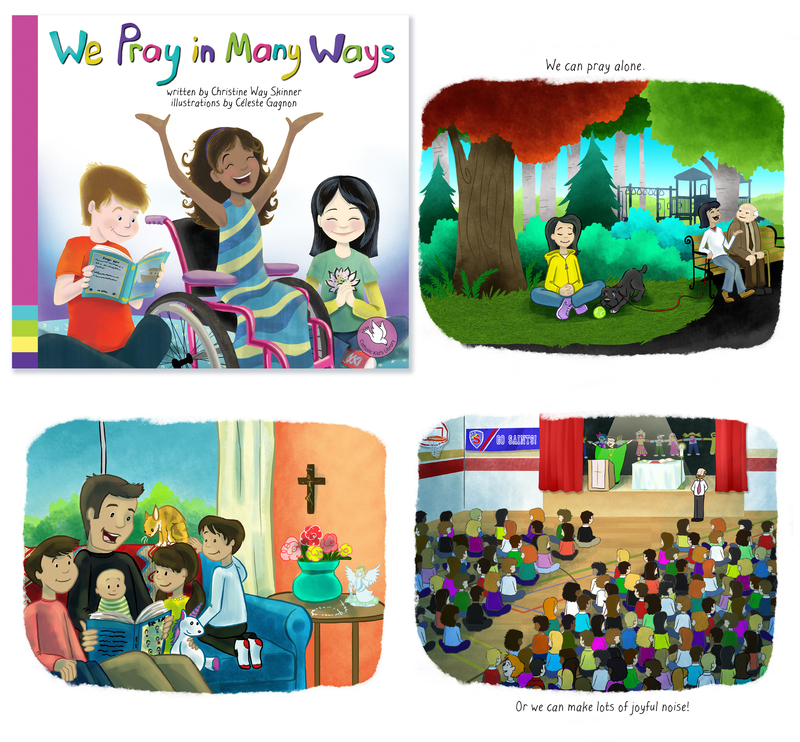 I received some amazing news from Novalis Publishing this past weekend, We Pray in Many Ways won second place in the annual book awards of the Catholic Press Association of the United States and Canada. YAY!! Putting together a picture book is really a team project, you have the author and illustrator of course but there are many behind the scenes people as well, editors, publisher, production team, marketing team to just name a few! Sometimes we are lucky enough to have an amazing team that makes the project that much more fun to work on. This was one of those projects. This is my favourite book out of the three Catholic Kid’s library series. I hope you enjoy it as well! If you are interested in purchasing it you can find it on amazon, chapters/indigo, or from Novalis Publishing. Way to go to everyone who worked on this book!